The announcement that the group's BAE Type 26 design won the design competition represents a significant step forward for the long-anticipated $60-billion program to replace the navy's aging fleet of frigates. The evaluation, which will take place over the winter, involves verifying the winning company's financial wherewithal to complete the project, confirming that the proposal meets the military's combat requirements and hammering down aspects of intellectual property licences. "Our proposal is a true industry team effort, and we look forward to providing any additional information to the Government of Canada and Irving Shipbuilding. We are ready on Day 1." The federal government now says it expects to award the final design contract sometime over the winter. But finally pulling the trigger on a designer is a "huge step," Dave Perry, an Ottawa-based procurement specialist at the Canadian Global Affairs Institute, said in an interview with CBC's Power & Politics. "There's a huge degree of interest in having this done by the spring, and certainly before the next election." Perry said the importance of this order should not be underestimated, as the new ships will provide the navy with the bulk of its ocean-going fleet — vessels that can be used in war, to protect trade routes or to deliver humanitarian aid. "They can basically do anything the government wants them to do," he said. Perry said the $60-billion contract to build the frigates will be a major boon for the Halifax shipyard in particular. "When the economic impact starts spinning, it's really going to be meaningful," he said. "The former naval officer in me is very excited," said Pat Finn, a retired rear admiral who heads up the Department of National Defence's material branch. "I've been around this for a long time." Fillion would not say which aspect of the "due diligence assessment" will be the toughest to overcome. Prior to asking for ship design bids, federal procurement officials spent a lot of time dealing with issues related to intellectual property on the complex systems that will be put into the new warships. Obtaining the necessary clearances is essential in order for the federal government to be able to maintain the vessels in the future. Failure to do so could cost taxpayers untold tens of millions of dollars — perhaps hundreds of millions — over the five decades the ships are expected to be in service. Some design changes are expected after the federal government selects an official winner and a contract is in place. How many changes will be required is a critical question; Finn would only say he doesn't anticipate cutting steel on the new warships for up to four years. That fuzzy timeline means the program is already months behind schedule. 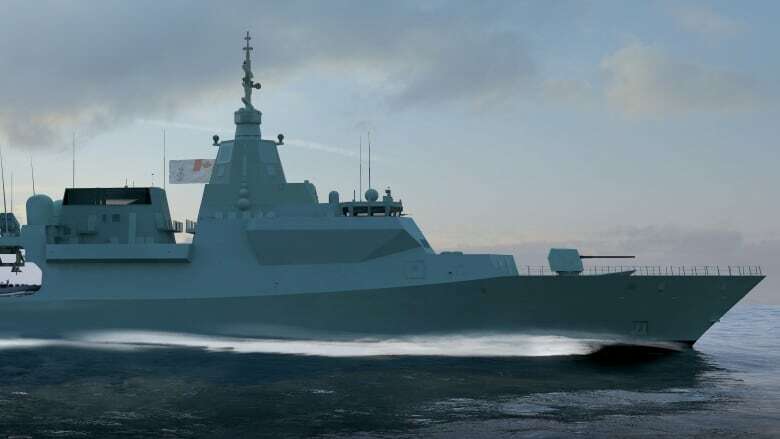 The design competition was launched almost two years ago, when the Liberal government said selecting a foreign, off-the-shelf design would be cheaper and faster than building a warship from scratch. Finn acknowledged there will be a production gap at the Irving yard in Halifax of about 18 months between construction of the navy's Arctic offshore patrol ships and the frigate replacements. He added, however, that the federal government is looking at a variety of options to keep the yard humming, including refit work on the existing frigates and possibly building an additional patrol ship, or ships.